You're a meteorology student fascinated by storms. But Mother Nature can be unpredictable. Situations can quickly turn deadly when extreme weather is involved. What do you do when, You're in a van full of people and a tornado suddenly appears to be headed right for you? A hurricane gains strength along the Florida coast but you're unable to convince people to leave their homes? A flash flood suddenly strikes, putting you and your friends and family in mortal danger? 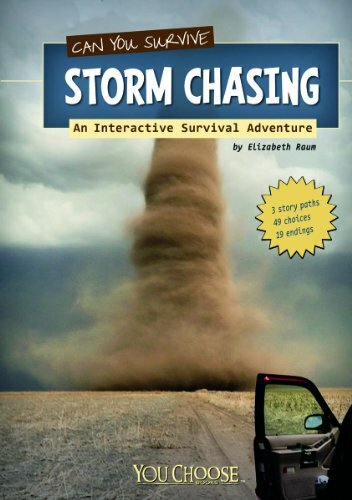 Experience the life or death dilemmas that face storm chasers. YOU CHOOSE what you'll do next. The choices you make will either lead you to safety or to doom.